The metamorphism of the Stavanger district has become weil known through the work of V. M. Goldschmidt (1921). The main point of Goldschmidt's 'lnjektions-Kontaktmetamorphose' is the progressive metamorphism of argillacious sediments and their transition into albite schists and plagioclase gneisses by metasomatic solutions given off from intruded trondhjemitic magmas. However, in contrast to the statements of Goldschmidt, the 'Injektionsgneise' and trondhjemitic intrusions were found to be weakly metamorphosed arkoses, greywackes, quartzites, and argillacious sandstones. Rock fragments and clastic grains of quartz, microcline, oligoclase, homblende, sphene, etc. are weil preserved in a thoroughly recrystallized matrix. These observations are in accordance with the results of zircon investigations published by Kalsbeek (1964). 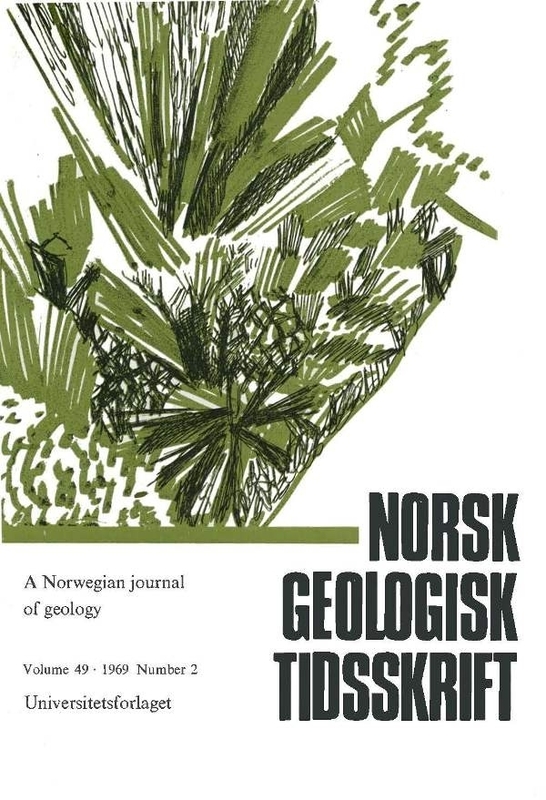 The isolated sills of the Stavanger area are not of trondhjemitic origin because microcline perthite was found to be a very common constituent (up to 25 per cent) in the igneous rocks of Caledonian age. With the exception of these sills the whole Cambro-Ordovician series have been formed into a homogenous matter by Caledonian tectonics. Two systems of fold axes and related linear elements of different age have been checked. The younger phase of deformation shows unequal intensities over the whole district.